I think you’re actively wrong about Dark Petition. 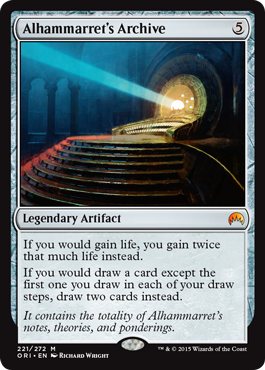 I don’t believe the card will ever be expensive, but it will see play in Legacy with a chance for it to be played in Modern. In legacy ANT (coming from a storm player) this card replaces Grim Tutor. Flipping it to Ad Naus nets you one life over Grim once you’ve cast your tutor. Additionally Petition is a net -2 mana tutor as opposed to a -3 mana tutor like Grim. There also remains the possibility that this card provides more gas to the Ad Naus-less “Grinding Station” version. Of the deck that eschews ad naus and grim and excess discard for more copies of PiF and Tendrils. The above is a very good point. I also play AnT in Legacy and Dark Petition has me intrigued. It also has the advantage of not being $300, as Grim Tutor appears to be. If anything this is a cheap replacement for budgets, but it could also be flat out better. I’ll probably give a try. That being said, it will just be a 1-of. Ad Naus also was basically a buck for its entire time in Standard, so it may dip below $2-$3 in the short term. Foils definitely worth considering. This is EXACTLY what I thought too! I’m glad someone else that has a little more “cred” than I do finally mentioned this card. This is the only card in the set that I had no problems pre-ordering. Not only do I plan on brewing and playing some copies in multiple formats, I also plan on making some money off of the extra playset I ordered. Evolutionary Leap started at $2-$4 pre-orders and then quickly got adjusted to $5-$7. In my opinion $5 is a fair price if this sees no standard play because it will be popular regardless. $7-$10 is a fair price if this sees standard play. 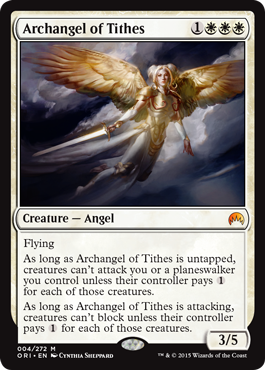 If this makes it to Modern and beyond I see this card hitting $15+ just like Collected Company. I realize that Evolutionary Leap probably won’t be a 4-of in decks, but I think it will end up in more archetypes than people think. I could be wrong, but I really don’t think I am. Either way I’m more than willing to bet Evolutionary Leap sees play than betting that it doesn’t. I really like grabbing this card under $5 if you can! I don’t think waiting for a Top 8 result is wise before buying in on this one. The more I think about this card, the more ideas I come up with to try out. It’s the first card in years that has me excited to brew again and I’m really looking forward to seeing what I can come up with. I preordered a FOIL playset and a regular playset, and in a worst case scenario, I’m fine with owning both for the rest of my life. A small correction. You listed Fleshbag Marauder as a card Woodland Bellower could hit, Bellower only tutors for green creatures. 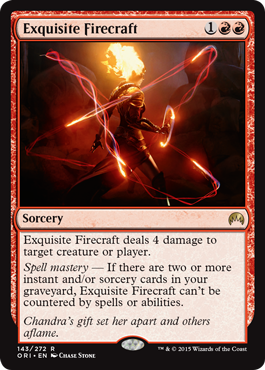 I really like Exquisite Firecraft as a replacement for Stoke the Flames. A big problem for red decks is that the big finisher spells are usually getting hit rather hard or countered, and having a turn 4 of this+wild slash or collateral damage will hopefully seal the game. Not having Convoke hurts it, but in most cases you were tapping a token anyways, losing one combat damage in exchange for 1 mana. Given that theres no lightning strike in origins, I think this is Wizards toning down reds damage slightly. And besides, what red deck won’t have two spells in the graveyard by turn 3/4? I thought Evolutionary Leap was preordering for way too high and thought it would fall back down in price. I think it is more of a casual appeal card because of the clause “Put that card INTO YOUR HAND”…not onto the battlefield like CoCo. However in those Modern CoCo/Pod-like decks (as u mentioned with Finks) there might be some value to it, but my big concern is that you get no immediate payoff and the card requires 3 mana and another creature just to get a random creature into your hand. I agree the brewing process can be fun, in Amulet Bloom u can sac that Saproling to get your Prime Time, Finks and Voice synergy seems solid, I just feel like the card is too slow to see top level play since the creature comes to your hand. 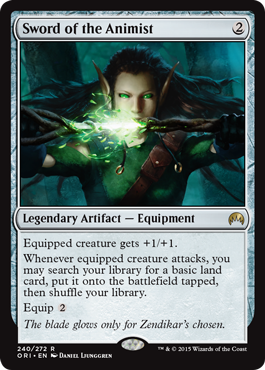 For Standard it could be extra Sideboard protection against control…in the short term you could sac your Caryatid or elf to find a relevant creature, but Whisperwood is already your Wrath protection in green decks. I’m interested in the card, but Assault Formation also had a lot of excitement and even posted a few modest results in Standard. Obviously I could be totally wrong, but this is a spec I’m going to wait on or just hope to randomly open through course of limited play as it’s only a rare. 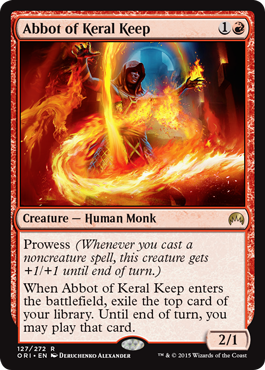 I also am not a fan of Abbot except for some possible deckbuilding synergies with just his prowess trigger and cards like Swiftspear, Dragon Fodder, Hordeling Outburst, and Ascendency. Maybe in Legacy with Ponder and Brainstorm you can stack the top of your deck to make sure the card u exile is playable..but is the creature relevant enough to warrant play in Legacy?? 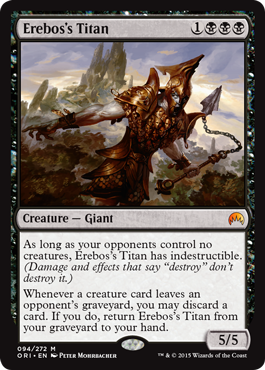 I know from playing Swiftspear that Prowess can be very powerful but Abbot seems like a step slow for the format. I think he’s a balanced card, just that exile top card ability has consistently underwhelmed me except for Chandra Pyromaster and Outpost Siege. I do like Sword of the Anamist…not at it’s current price like you. And I was so underwhelmed with the Bellower at first and then I remembered See the Unwritten is a card, and Battle for Zendikar upcoming, and Genesis Hydra is rotating out soon (I love that card vs Control). The Bellower feels like a baby Gen Hydra although the back breaking potential isn’t there like the Hydra possesses. However the Bellower will probably be combined with Raptor (and Den Protector) for it’s life in Standard. That whole green non-legendary clause got me too Derek and at first really soured me on the card. What is your opinion on Harbinger of the Tides?? 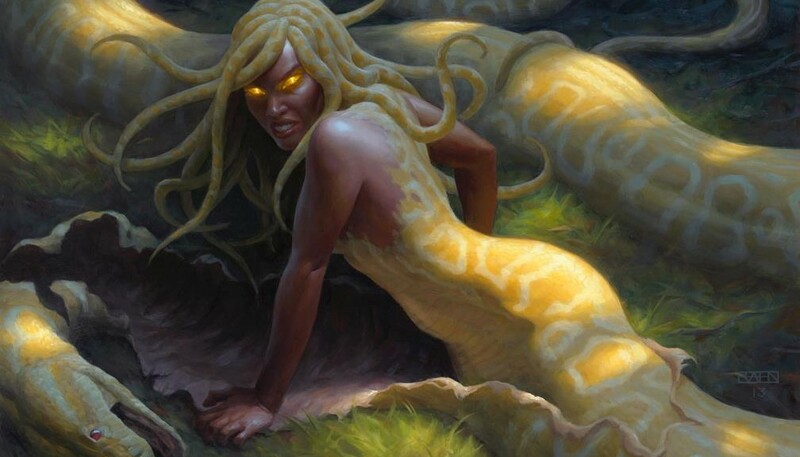 Harbinger is a fine card, I’m really disappointed / surprised by the lack of Merfolk support these last few core sets (Master of the Pearl Trident with basically no other merfolk). 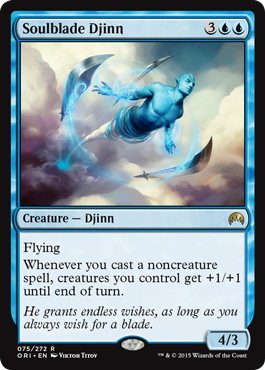 Harbinger is going to be underwhelming at first, but there’s a good chance we get serious Merfolk support in Zendikar because the plane features legged Merfolk so it’s easy to have them wandering around on land. The card will see some play, but I imagine it’s price is going to go down before it goes up. Here’s what I meant about Bellower and See the Unwritten: You can have Savage Knuckleblade or Surrak out (how broken would Bellower into Surrak be? if only, lol) cast See the Unwritten, hit Bellower and creature X (hopefully an Eldrazi, we r living the dream here), get Raptor, another Knucks, or who knows what else with Bellower, and have 3 (mythic) creatures on the battlefield. Easy game right? lol. But people will try that out I’m sure. Best finance review I read so far on Origins. To the point, strong reasoning, and clears up a lot of clutter. 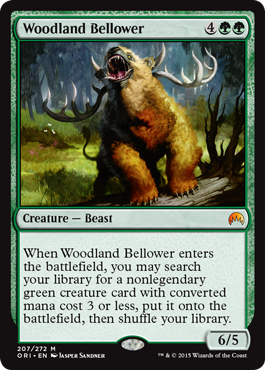 I suspected that Woodland Bellower could end up being the Chase mythics since all the other mythics were bleh. Agree on abbot. Abbot might actually be the rare that every slept on until it’s too late. People keep saying it’s not a good card bc it only gets good in mid to late game, which is silly bc at its worse, it’s a 2/1 prowess for 2 cc. Solid pickup to me and can’t wait to pick more copies up if and when it might possibly drops lower than its current pre-sale price of $3 a pop. Abbot seems to be a polarizing card, which I see as a great opportunity. Everyone looks at it and sees garbage, but if it ends up being strong, it’s going to blow up big. I’m looking forward to grabbing a FOIL playset as soon as they’re back in stock because I’m sure the card will also look fairly amazing.